(5-11 yrs) The Young Champions Program at USA Karate Academy is designed for students aged 5-11 with the physical & intellectual developmental stages of these age groups in mind. 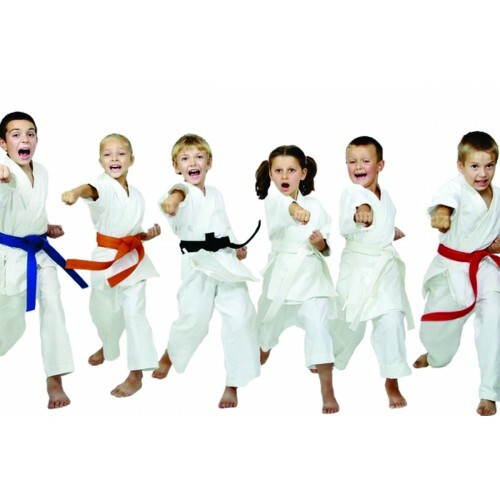 Martial arts is so much more than kicking & punching, for this age group we also focus on advanced motor skills, balance, stamina & physical fitness in addition to learning the art of Tae Kwon Do including blocks, strikes, kicks & punches. We use a variety of equipment to keep the classes energetic & fun! While the goal of reaching their next belt rank is very important at this age, we emphasize that respect, focus, commitment & discipline are necessary not just performing the skills that are taught. As students move up in rank, they develop increased self-confidence which translates into the ability to continuing setting goals & achieving goals both in & out of the classroom. All students must purchase our "gi" uniform, which is $30. Uniforms will be available for purchase on the first day of class. *Member Discount for 2nd Kid Fit class not applicable Please contact Brittany Twine for additional details at (908) 753-2300 x 124.